One of my goals for the two read-a-thons I plan to participate in this spring (Spring into Horror during April and Bout of Books May 14-20) is to get through the huge pile of books that have come to live on my nightstand, as well as the ARCs I've requested for books with publication dates in April, May, and June. 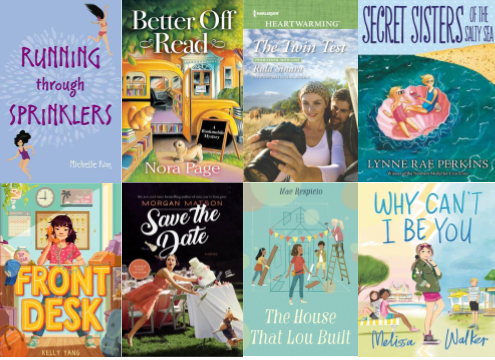 While I am pretty sure I won't make it through all of these, I also can't say for sure which I will end up reading, so I thought I'd just quickly highlight my stack of options for today's Top Ten Tuesday topic, "Books On My Spring TBR." A friend of mine watches The Durrells in Corfu, and she recommended it to me. I of course don't want to start watching without reading the book first. My Catholic book club is reading this for our April discussion. My husband has been asking me to read this homeschooling guide for months, and I keep forgetting about it. I have been planning to get back into reading this nonfiction set that we'll be using to homeschool history, but I keep putting it off in favor of fiction. My great-grandmother is mentioned in this book, and there is even a photo from her childhood. My grandmother bought the book for me years ago, and I am starting to feel guilty about not reading it! This is not the first of the series, but it caught my eye at a used bookstore because I have enjoyed this author's children's books. Based on the description of this book on Amazon, it sounds like I'll be able to count it as my one required scary book for Spring into Horror. It's rare that I own two consecutive books in a series, but since I do, I'd like to get through both so I can pass them on to another reader and free up some space. This was another random book sale find that I'm curious about. I've been meaning to get back into this series. I'm especially interested in this one because it introduces a new administration to the White House. Another book sale book. I've been wanting to try this series for a long time. There are actually six from this series on my nightstand, but this is book 5 and I don't have 6 or 7, so for now, this is the only one I feel I need to finish soon. I have wanted to read this for years, but somehow it keeps getting forgotten. I bought both of these books because I have enjoyed the author's work in the past, and because I was at a book sale where paperbacks were "up to 5 for a $1." I wasn't about to miss out! I typically get really interested in summer books when the weather first warms up - I'm hoping that's soon! My husband has been asking me to read this one, and I have been procrastinating because it doesn't look like my usual fare. 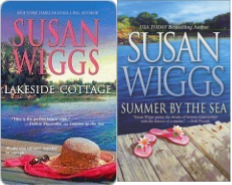 I have read the first two of this series and would like to finish this series, which also includes Katie John and Heathcliff. Another recommendation from my husband that's been on my nightstand for many months! I really loved Criss Cross and have been wanting to read this book, which comes before it, for years. Trevor is one of the best Catholic writers ever, and I don't know why I haven't read this yet! I find the covers of the books in this series so appealing, but have yet to read one. This is the third book, so I'll be reading out of order, but there is a new book coming out so I'd like to get them all read before that comes out. This looks like a sweet vintage story that I will really enjoy. I find Cornelia Meigs's writing a bit difficult to get into at times, so I've been avoiding this book, but I do really want to read it. 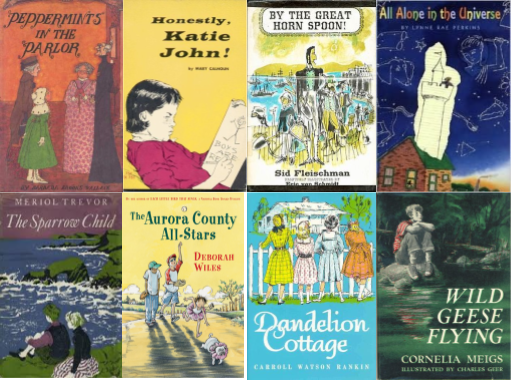 There are so many new-to-me books on this list! Thank you for sharing them with us! Happy reading! Wow that's quite a pile-good luck and enjoy!! Happy Spring! 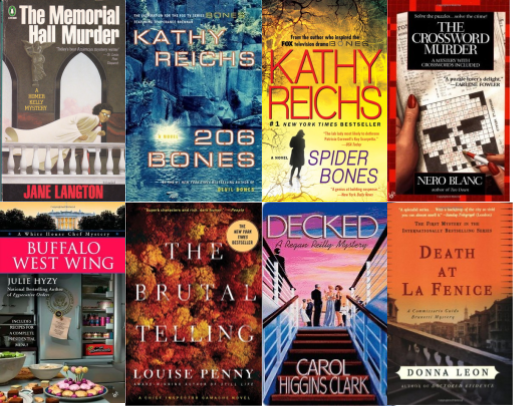 I love Kathy Reichs and am slowly catching up on the Tempe Brennan books. Wow, you’ve got a big TBR list. I hope you enjoy all these books! I still need to try Wiggs. Decked looks fun. Hope you enjoy all of the ones you're able to get to!